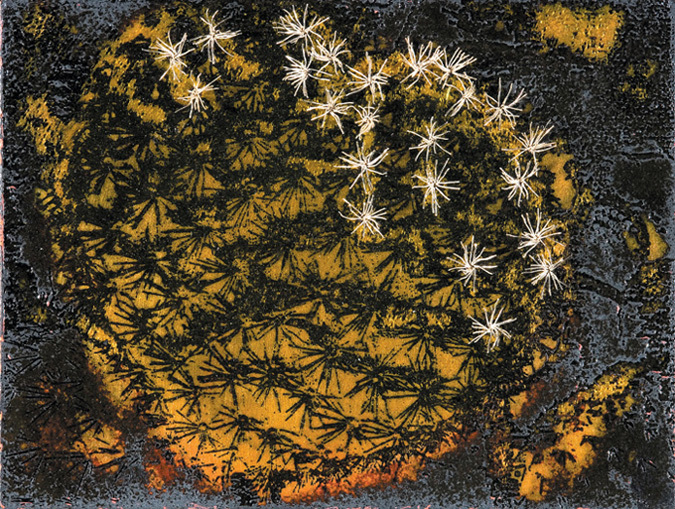 As an applied artist I specialise in enamelling and printmaking. Imagery comes from my environment at home and abroad. Inspiration comes from patterns in nature, organic material growing and decaying and movement in shapes and colour. My drawings and photographs provide the source material. I also work in collaboration with my husband Michael and daughter Cara Murphy, recently enamelling 3 dimensional silver forms for them. Deirdre trained at Belfast College of Art where she obtained an NDD in Printed Textiles and Jewellery in 1965. She then completed a three year Postgraduate Course at the Royal College of Art leading to MDes (RCA) in Jewellery in 1968. 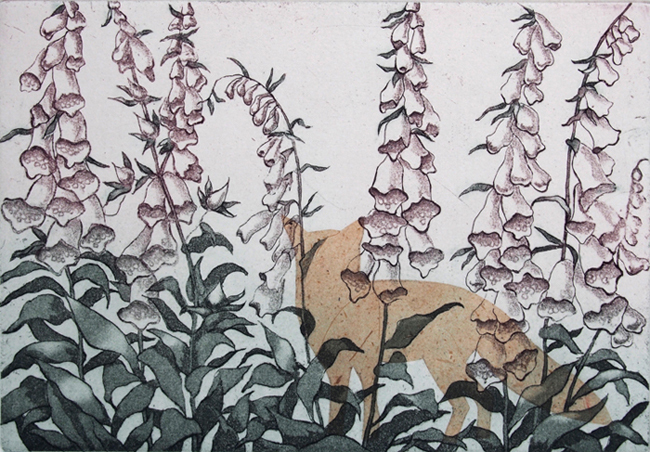 Since then Deirdre has worked as an applied artist specialising in enamelling and printmaking. She has taught part-time Jewellery and Enamelling at the Ulster University. 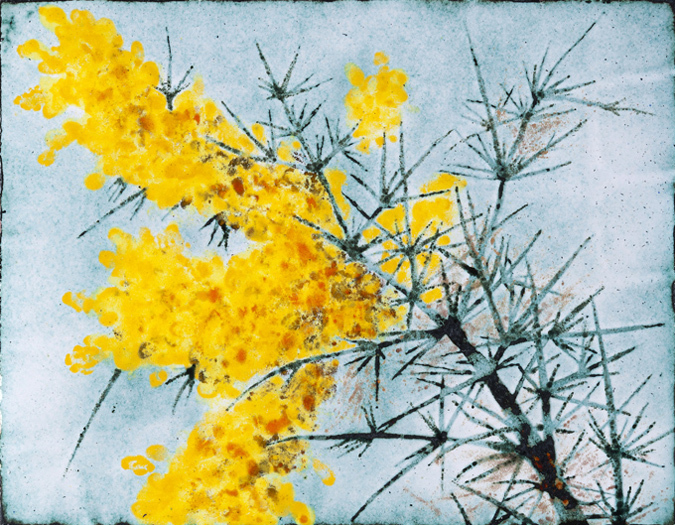 She has exhibited nationally and internationally both as an individual artist and as a member of the British Society of Enamelers and Seacourt Print Workshop. Deirdre is a member of the Design and Crafts Council of Ireland Register of Professional Craftworkers and Portfolio. 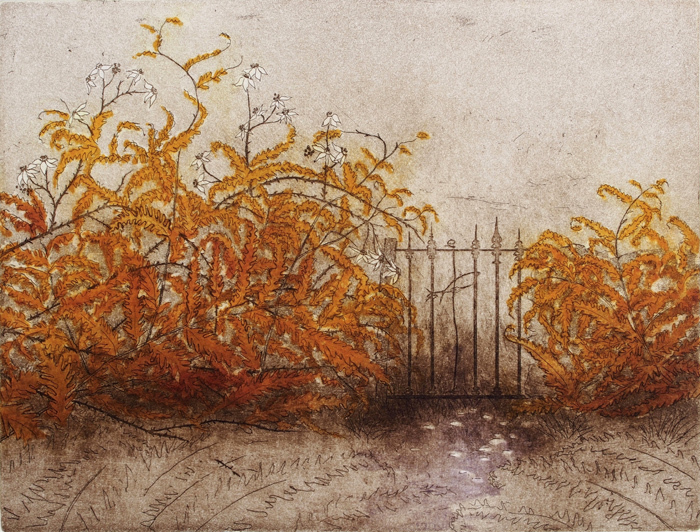 Deirdre's work is in numerous public and private collections.